Works with all Angel A1 and A1 Fly guns. Replaces the Stock, Fly, Magno, and STR rams. The first, and only, rebuildable ram for the Angel A1 and A1 Fly markers is back and better than ever! This aftermarket ram is rebuildable, but we certainly didn't stop there. It's also packed full of improvements, as we analyzed, engineered, tested, and re-worked every part of this ram to make it the end-all upgrade for the Angel A1 firing system. If you've had an A1 for any amount of time, you are probably familiar with the ram issues. 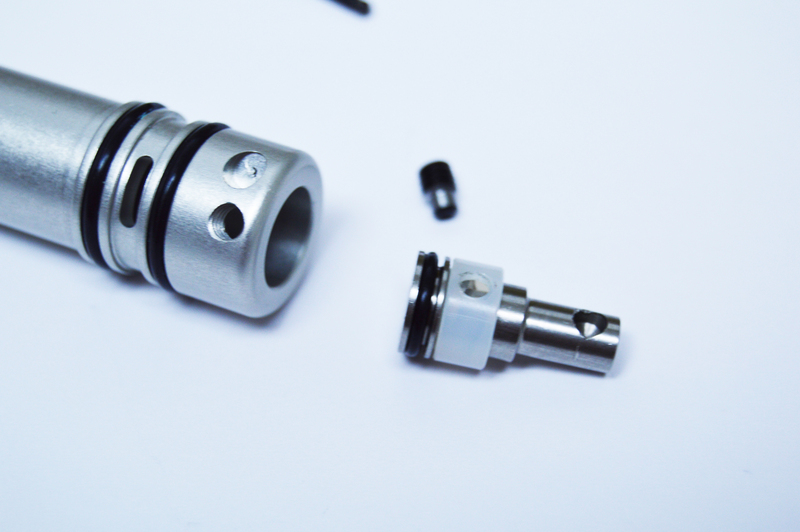 And the fact that the stock rams are not rebuildable, leaves you few options to address these issues. 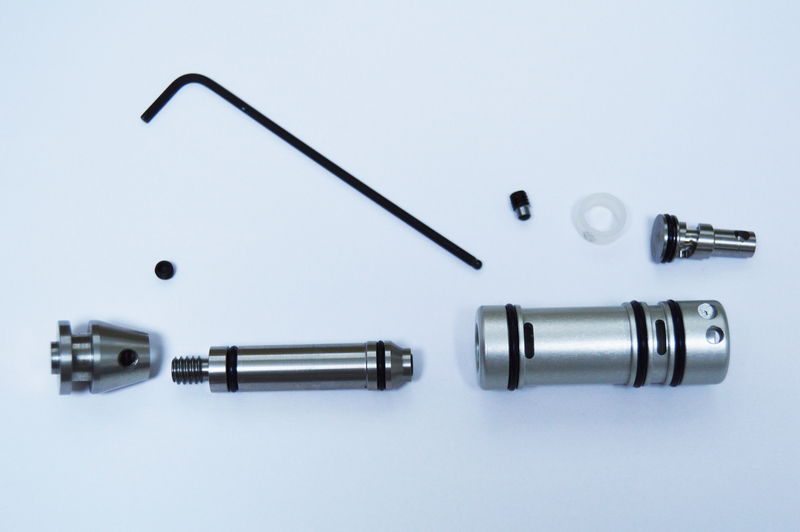 Problem #1: The A1 and A1 Fly were designed to be run on a low-pressure output HPA tank (500PSI or less). Not many people knew that, and so the more common standard output (850PSI) tank would be put on the gun. As soon as a regular output tank was used to gas up the A1, permanent and irreversible damage was caused to the ram. It may show up immediately, or it may take a little while, but a small leak would develop from the breech area of the gun. This is the first sign that your ram is dying. In reality, it's just a simple oring that needs to be replaced, but since the stock ram is not rebuildable, it is time to replace the whole unit. Problem #2: With regular use of the A1 and A1 Fly, the bumper inside the ram will wear down. This too is inaccessible, and therefore, not repairable. The end result will be that in the locked-forward position, your ram will not reliably hold the breech door closed, and your breech door may come flying open while shooting. The fact that you cannot open up the ram to service these parts, or even to lube them, means that an otherwise simple repair results in a costly and frustrating ram replacement. There have been some modification jobs out there, which would drill out your ram and allow them to come apart for servicing. These are good modifications, but the process is more complicated, requiring you to send your ram off to have the service done, and the success rate is not 100%. With the A1 out of production, along with all it's parts, the options for replacement have become very limited recently. There are virtually zero new rams in existence, and when a used one without a leak pops up on eBay, it tends to go quick! But we love the Angel guns far too much to watch such a great model die a slow death as users try to find a good ram to keep it going. Allow me to introduce you to the Predator A1 Ram. This project started months ago, and has seen many modifications along the way. After relentless testing, here's what we've come up with. We knew the new ram would need to be simple to service. So now, with just the removal of 2 set screws, the entire ram comes apart simply and smoothly. All seals are replaceable, as is the bumper on the rear of the ram shaft. And to keep things simple, the bumper has been replaced with a standard #004 oring instead of the proprietary bumper which existed on the stock model. Since the stock ram had such a short lifespan, we decided to do the opposite with this one. 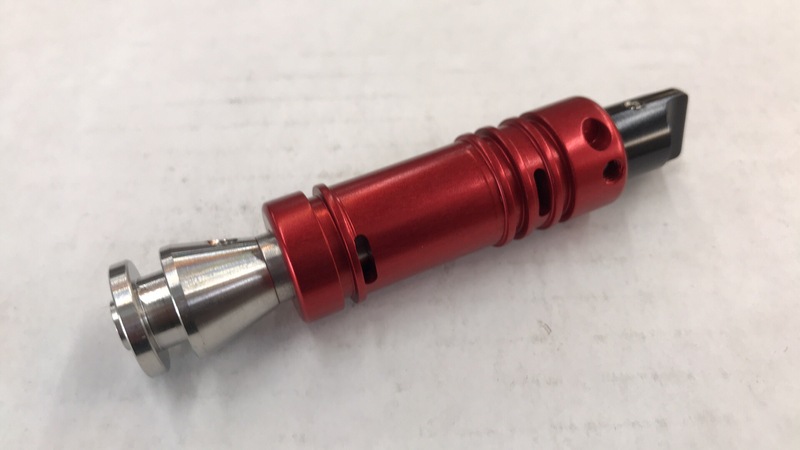 We start with 2000 series aluminum (Much harder than the typical 6061 aluminum used in the paintball industry), then precision mill the body to exacting standards. Next, we apply a Type II - Anodize to the body, creating an even harder surface inside and out. 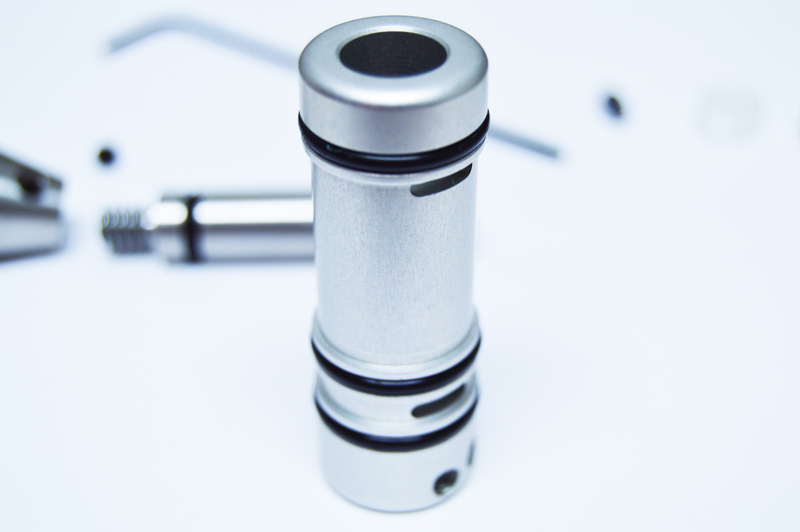 The ram shaft and head are made of stainless steal. The end result? A ram which will certainly outlast the gun itself, and maybe even the apocalypse. Much thought and debate went into the tolerances inside this ram. If we make it too loose, we'll have the same problem the stock ram had, with premature leaks. Make it too tight, and the added friction may slow down the gun, taking away the signature speed Angels are known for. We landed on a tension which causes far better reliability, while not sacrificing any of the speed we've all come to love. All-in-all we couldn't be more pleased with the end result of the months and months that have gone into this project. However, after selling out of our first batch of rams, we received some very helpful feedback. We have implemented these changes, and now bring you the second revision of our rebuildable ram, which we have dubbed the -RED- version. Angel threaded ram head. This way you can replace our ram head with any other you like. Twist knob included. Gen 1 required you to use your stock twist knob. This is now included. Set screw recess for ram head. This makes disassembly easier. Signature red anodize. Because it looks awesome! And a few other minor updates. We're excited to finally bring this out of the lab, and onto fields everywhere. We're also excited for you to bring your A1 back to life!